At Highlands Winery we aim to produce elegant wines from very select vineyards. 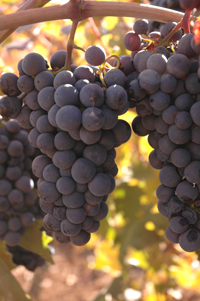 We concentrate on two varietals from select growers: Cabernet Sauvignon and Zinfandel. We craft these wines by hand from small lots with great attention to detail. We age our wines in French Oak barrels for 24 to 36 months and carefully bottle them for your enjoyment. Our Cabernet Sauvignons exhibit intense flavors on your palate and the crafted elegance makes them delicious when they are young and as they age. The handcrafted complexities, along with the character of our premium grapes, give our Cabernets the basis to develop beautifully over the next four to six years. Our Zinfandels are renowned for the characters of red fruit, reminiscent of spicy black pepper with hints of cocoa. These are powerful and mouth-filling wines with enough elegance and finesse to soften the palate and make them easy to pair with foods. Highlands Zinfandels exude elegance and are a pleasurable addition to any meal.